Helix Technologies, a UK-based company that develops high-performance antennas for telecommunications, has created a ceramic-based antenna that is said to outperform typical antenna technologies and can provide precise positioning in multi-path environments. “In a city environment, there are two major problems: there are buildings blocking the satellite signal and you also get reflections off buildings so you don’t know if you’ve got the right signal,” said John Yates, managing director at Helix Technologies. “The dielectric material essentially slows the speed of light inside it so it makes everything smaller. We use that quite aggressively to make it much smaller, but as it does so it makes the focal point of the antenna precise,” added Oliver Leisten, technical director at Helix Technologies. Accuracy is essential in the driverless car market for safety reasons. Furthermore, the antenna, which is no bigger than an index finger, is small enough to not be aesthetically intrusive. The company aims to have the antenna in use in autonomous test vehicles by Q1 2019. Another new announcement at the show came from German company Understand.Ai, which announced the release of its 3D-annotation tool, which will be one of the first on the market. The software solution, which uses AI-based tools to identify objects in an image, and raw data captured by the vehicle’s sensors and camera system, claims to be able to speed up the testing and validation process by at least five times compared with traditional methods. “Data from test vehicles is useless unless it is annotated, so we use a combination of AI tools and human refinement, and with this data we train algorithms and test the algorithms for autonomous driving,” explained Christian Sagur, head of sales at Understand.Ai. “This makes us up to 10 times faster [than solely manual steps]but the human refinement step keeps the quality as high as possible. We test not just against data that was acquired through driving around; we also import scenarios such as intersections and bus lanes. We compare our clients’ scenarios with our scenarios and tell them where there are gaps in data. If you think traditional methods can take up to 90 seconds to validate, it’s a long process – and we’re not even talking about Level 5,” continued Sagur. Also looking to help speed up the autonomous development process was Vector Zero, which exhibited its Road Runner software – a tool to make 3D modeling faster. During the show, Vector Zero software engineer Clayton Anderson used live demonstrations to show just how quick and simple it is to model a road setup using imported real-world data such as aerial images from openly available sources such as USGS, and place roads where they would be in real life. Bends, junctions, traffic scenarios, elevation and lane markings can be added with just a click of a button. Creating a complex road layout to match an aerial image down to a meter accuracy can be done up to 10 times more quickly. “You want to make modeling as easy and accessible as possible. Usually for a lot of simulation companies they have great systems with great dynamics and plenty of people working on the physics and math behind it – but actually creating an environment to simulate on can be quite challenging,” said Anderson. Anderson explained that some road layouts are difficult to model, but that the interactive Road Runner software makes those complex road environments easy to model, and has the ultimate goal that any of the difficult situations can be modeled. Meanwhile Nira Dynamics presented a software solution called Road Surface Information (RSI), which is able to map and share information about potholes with current vehicles and future driverless vehicles. Unlike other systems using cameras or sensors suspended in the air, RSI is a sensor-less system that utilizes signals from existing sensors such as wheel speed to detect defects such as potholes in the road. “Everyone will be part of the data collection, and one part of sharing the data is to warn other cars, but we’re also sharing it with road maintenance companies in both winter and summer months for salt planning, and also a map for fixing potholes,” said Johan Hägg, head of marketing and sales, Nira Dynamics. Breaking news from the first day at the 2018 show came from Xenomatix, which debuted the industry’s first solid-state lidar. The technology uses no moving parts and can scan everything it sees at once. According to Kris De Meester, the company’s VP sales and business development, it is “a turning point in autonomous vehicle development”. The true solid-state lidar sends out a scattered beam of light that can ‘see’ the road and objects ahead. “We can make it smaller and integrate it into the car, as requested,” continued De Meester. Elsewhere on the show floor, one of the world’s biggest AV testing facilities, the American Center for Mobility (ACM), revealed it has big plans for the development of truck platooning for military and commercial applications. ACM, a purpose-built test facility in Michigan for future mobility solutions, was due to welcome a fleet of CAV trucks on October 25 for its first trials, revealed a spokesperson in attendance at the show. The trial, which is being carried out for a number of organizations from the defense, academia (including Auburn University) and public sectors, is aiming to autonomously control an entire fleet of vehicles, including their throttle, braking and steering, which has never been attempted before. It is expected that it could take from seven to 10 years for autonomously controlled trucks to be safely deployed in platoons, but the study is hoping to expedite this. “This is an unprecedented study. The hope is to improve soldier safety and reduce driver fatigue. We plan to get enough redundancy and miles tested, so that we can advance its commercial and military introduction,” Shavers continued. 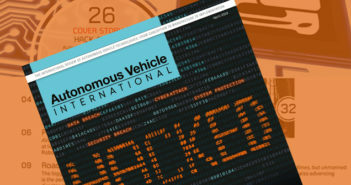 “Unmanned driving has the potential to be a breakthrough capability that can enhance our mission efficiency many times over, and the potential that advancing this work at ACM brings is extraordinary,” added Bernie Theisen, ground vehicle robotics, United States Army and Tank Automotive Research, Development and Engineering Center. Exhibitors and visitors were united in their positive appraisal of the first-ever Autonomous Vehicle Technology Expo held in Novi, Michigan. “The other vendors are really interesting, friendly people who are willing to talk to you. It’s a great venue and its strict focus on autonomy is something special,” said Jensen Killgrove, senior application manager at dSpace. 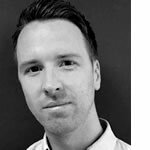 “I’m interested in AV solutions, especially regarding their testing – it’s such a big event and I can get the opportunity to speak to all the biggest companies involved. The leading names are here and I can take away a lot of information. I’ll definitely attend next year if I have the chance,” said Brian Choi, an application engineer from Colorado. Next year’s Autonomous Vehicle Technology World Expo will return to the Suburban Collection Showplace in Novi, MI, USA on October 22-24, 2019.